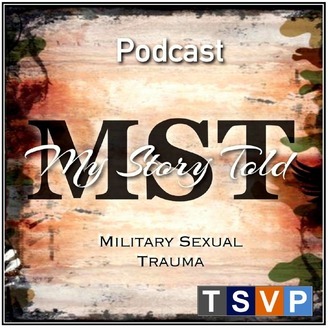 The My Story Told Podcast features conversations with survivors of military sexual trauma (MST). .
On episode 3 of the MST Podcast, we talk with navy veteran Heath Phillips about his MST experience, dealing with the shame of being a male survivor, taking on the VA system, and how he now uses his story and voice as an advocate for all MST survivors. Heath Phillips comes from a long line of veterans. Serving was a natural way to express his patriotism. But shortly after joining the navy, he was sexually assaulted. His command ignored him. His attackers continued. To avoid the torment, he went AWOL and his life spiraled into despair and self-abuse. After being forcibly returned to his command, the navy wanted to give Heath a dishonorable discharge, but instead settled for an “Other Than Honorable” separation in exchange for Heath’s voluntary departure from the military. But the real depth of Heath’s MST related torment was only about to begin. On episode 3 of the MST Podcast , Heath shares how he now uses his story and voice as an advocate for MST survivors. This episode was recorded July 14, 2018 in Wexford, Pennsylvania. Host: Lauren DelRicci. Guests: Heath Phillips. Audiography: Kevin Farkas/The Social Voice Project, Mary Fogle-Loveland. Music (available on SoundCloud.com): Nicolai Heidlas Music (“Wings”, Pipe Choir Records (“Inscencer”), 9 Smooth Vibe (“Soul Lounge Mix”), Zom-V (“Zomvemokitt”), 9 Smooth Vibe (“Soul Lounge Mix”), Marcel du Preez (“Snow on the ocean”). Music (available on Bensound.com): “Elevator Bossanova.” Additional sound (available on Youtube): Dept. of Defense (“Sexual Assault – Retaliation,” “Get Consent”). MST Podcast cover art: Nickie Renee Artistry. ©MST Podcast/The Social Voice Project, Inc. All rights reserved. Where our stories are told, others can unfold. 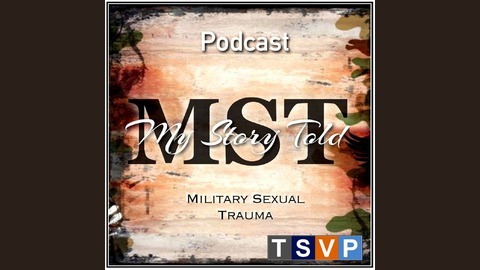 The MST Podcast features hopeful conversations with survivors of military sexual trauma (MST). Because there is a direct connection between storytelling, compassion, empathy, and healing, MST also stands for My Story Told. Through stories we connect, we understand, and we heal. Specifically, through stories of hope and possibility we can also inspire other veterans and trauma survivors to shift from surviving to thriving. Our guests lead by example, they speak up about their trauma, and they reveal that what works in their lives just might work for others. We think it’s our duty to listen and learn. Lauren DelRicci hosts the podcast. She is a veteran of the US Navy and an MST survivor. Let’s keep community podcasting alive! If you like this podcast, please help us continue this great entertaining and educational program. Show your support by making a financial donation, underwriting the podcast, or advertising your business or service on the show. Donate now or contact us about sponsorships and advertising.